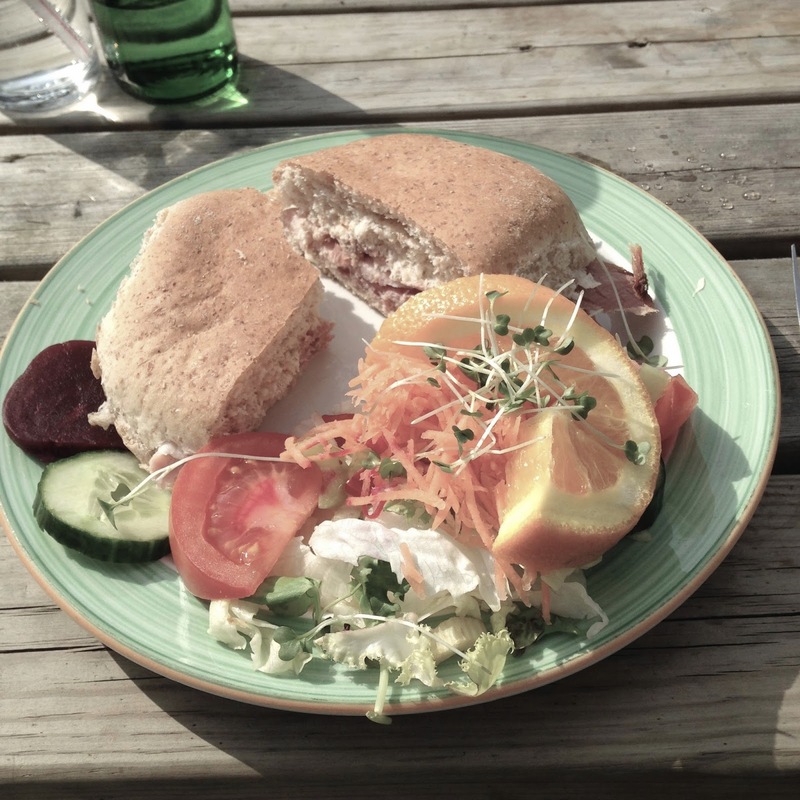 It’s the last day proper of the Easter holidays, so my children and I headed out for an alfresco lunch at Buffers Coffee Shop which lies within the beautiful Bolton Abbey Estate just outside of Skipton. It was the first time we’d been there and it had been recommended by a sixth-form friend of ours who has a weekend and holiday job there. And I wore my new Clarks brogues in the softest, palest lemon leather. I think Buffers is possibly the quaintest place I have ever eaten at. It is utterly charming and the spring flowers were a visual treat. The food was simple and wholesome. We each had a sandwich with salad followed by homemade cake. It was a lunch with a view. Such a privilege to live here. My brogues were a gift from Clarks. All opinions are 100% honest and all content is my own.